Flexible Wire & Cable are popular products that we manufacture here at Jaguar Industries and even provide to smaller distributors, which allows us to offer some of the most competitive prices. 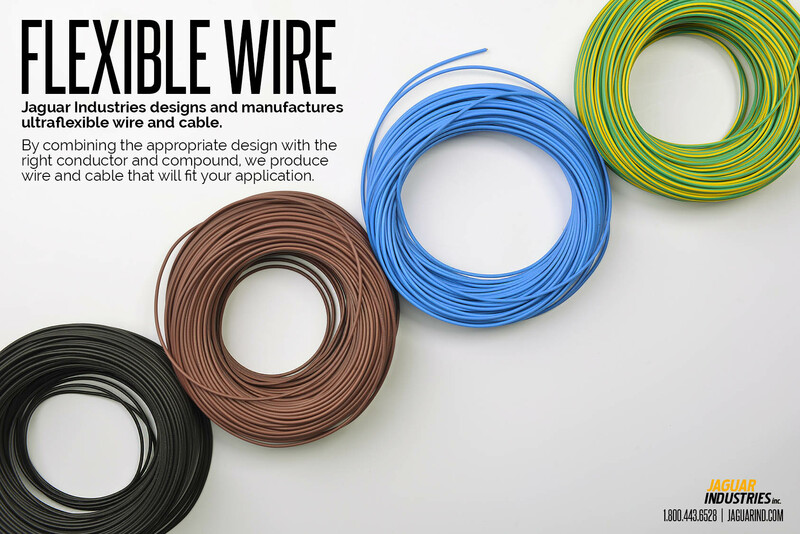 We are experienced in designing and manufacturing flexible wire and cable and are committed to our process making these products fit for any application. We provide these types of wire to industries like medical, robotics, aerospace, universities, etc. By using conductors with high strand counts, we achieve maximum flexibility with an improved flex life. We have been in this business since 1979 and look forward to seeing how we can help you. Feel free to give us a call at 1.800.443.6528 or if you’d like a quote please fill out the form below.